See scan - very good condition. 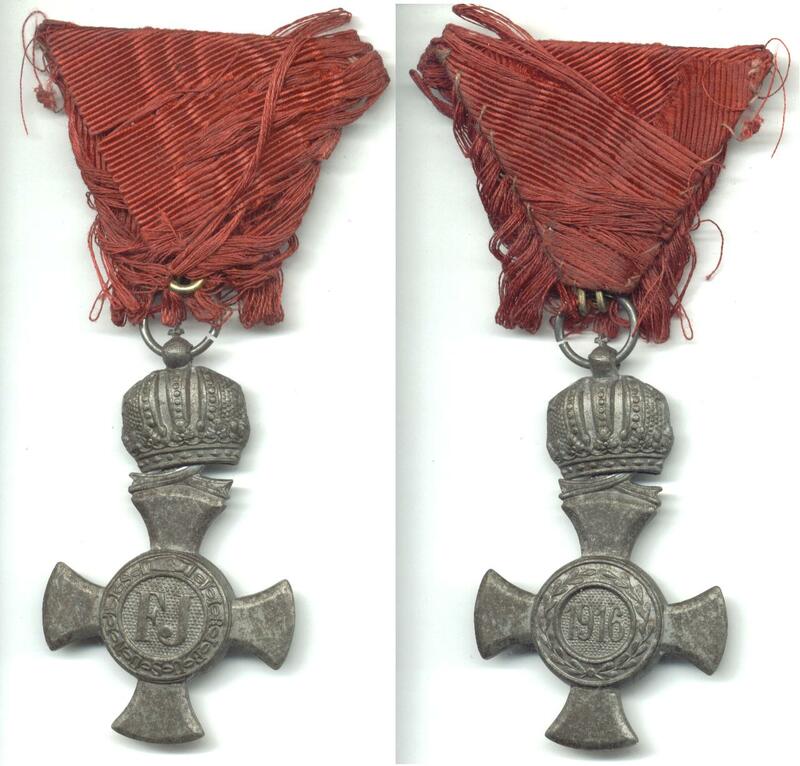 This is a nice Imperial Austrian War Merit cross with crown - King / Emperor Franz Joseph I issue. This particular piece is hollow inside. Comes with red ribbon, but ribbon is not in good condition. Nice militaria / military collector piece and one of the nice Austrian orders and decorations.